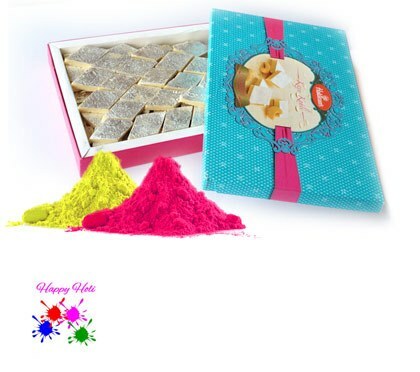 Holi Gifts: To Add More Fun & Happiness in the Festival of Colors! Holi, the festival of colors is here again making it the best time for Holi shopping. From Holi special, sweets, colors, dresses to gifts, Holi shopping is inclusive of all that can add more fun into the celebration. Thus here comes Giftalove with its exclusive line of online Holi Gifts ranges that has it all to meet your needs for greeting your loved ones on one of the year’s biggest festival celebrations. Holi is the festival of rituals, colors and fun with friends, family and loved ones. 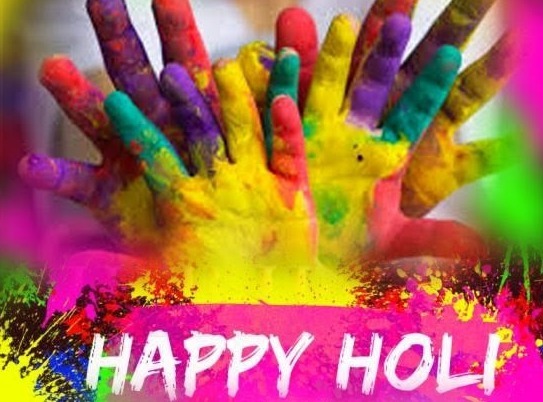 In India, Holi is in fact a name for one of the biggest Indian festivals that is celebrated with great fervor by the Hindus based all over India and overseas by the people of Indian diaspora. For the festival of colors, here is an exclusive collection of Holi Sprays and Colors. The entire catalogue of Holi colors and sprays is full of premium quality products that are safe to use. 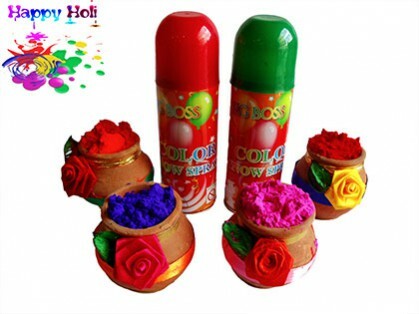 All that one need is to explore the widest range of Holi sprays and color combos that has it all from dry holi color powders to colorful sprays, color foam sprays and lot more. To add the flovor of sweet and salty in the hues of Holi colors, here comes the exclusive catalogue for Gujiya and Namkeen range that is full of amazingly attractive and delicious packs of Gujiya and Namkeen combos. These are not just perfect for catering your loved ones or guests on Ho.li celebration day but also to gift and surprise loved ones on the festival of Holi. For the loved ones willing to get dressed in the hues of Holi colors in style, here is the exclusive catalogue for Holi Special Kurtas and Suits to explore and buy online. There is ample number of attractive Kurtas and Suits choices to explore in the range. 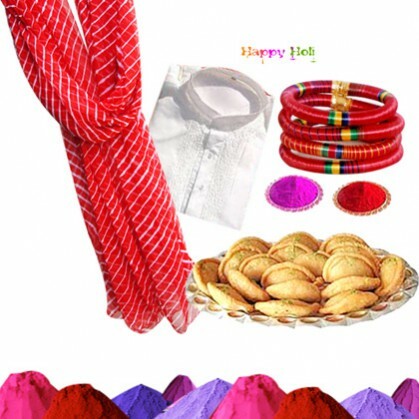 You can buy these to celebrate Holi in style or can even surprise your loved ones with Holi Kurta or suits as Holi gift. 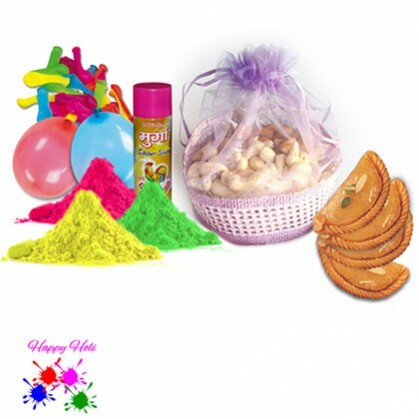 If you are looking for the complete Holi gifts hampers to convey your love to dear ones residing far away or to add more fun and colors into the celebration of colors then here is the exclusive collection of online Holi special gifts hampers that has it all from Special Holi Hampers to Sweets Hampers, Gujiya / Namkeens, Thandai Hampers, Dryfruits Hampers, Mithai Hampers, Chocolate Hampers and more. So whatever is your need to make this Holi Celebration 2016 a cheerful and memorable one, you can easily meet it at Giftalove ! The portal is a perfect Holi shopping destination that is going to all that you need as Holi gifts to buy online. 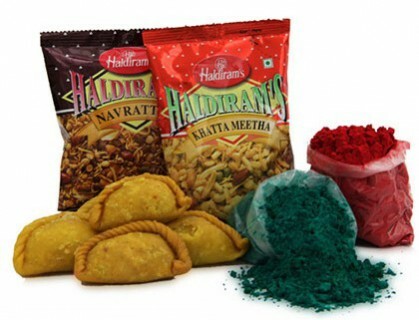 Also on this Holi you can Send Gifts to India Online with free shipping to greet and surprise your loved ones residing far away with Holi wishes. So hurry start shopping Holi gifts online!